What's New for the 2019 Hyundai Veloster? The Hyundai Veloster is a sport compact car that first debuted in the 2012 model year. The unique vehicle was not manufactured during the 2018 model year, but it is coming back in 2019 with a brand new design. The 2nd generation Hyundai Veloster will be slightly larger than its predecessors, but it will still keep its asymmetrical door design. The larger body allows for more space for cargo and passengers. The 2019 Veloster will also have a multi-link suspension for the first time ever. The new Hyundai Veloster will be available in three different trim levels. The premium trim level is very similar to the base option, but it comes with a few extra features. 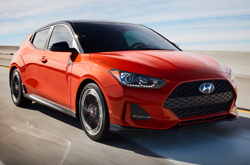 If you want to get the most out of your new sport compact car, then you will be interested in the 2019 Veloster Turbo. The main draw of the Turbo edition is its superior engine power. You are guaranteed to love the amenities no matter what trim level you choose. 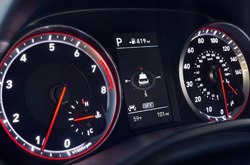 Every version of this new sports car from Hyundai will come equipped with cruise control, speed-sensitive volume speakers, hands-free compatibility and two LCD touchscreen monitors. How Well Does the 2019 Hyundai Veloster Perform? The basic and premium versions of the 2019 Hyundai Veloster will feature a 2.0-liter I-4 engine. This engine will provide 147 horsepower and 132 foot-pounds of torque. The new Veloster Turbo edition comes with a 1.6-liter I-4 engine. You will get 201 horsepower and 195 foot-pounds of torque with the engine in the Turbo edition. You will not even have to sacrifice fuel efficiency to get the extra power. The basic engine offers an estimated fuel economy of 25 miles per gallon in the city and 33 miles per gallon on the highway. The Turbo engine gets approximately 28 miles per gallon in the city and 34 miles per gallon on the highway. Both of the engine options in this vehicle run on regular unleaded gasoline. Is the Hyundai Veloster Safe? The new Veloster comes with a plethora of safety features to protect the driver and three passengers. The vehicle is equipped with six airbags, traction control, lane-keeping assist, low tire warning system and automatic emergency braking. 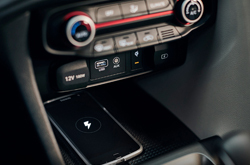 Hyundai strives to manufacture some of the safest vehicles on the road, so there is no reason to expect anything different from the 2019 Veloster. The previous model years of this vehicle earned perfect overall safety ratings from the National Highway Traffic Safety Administration. See for yourself why the Hyundai Veloster should be your next Hyundai. Contact us if you have any questions. What Is New With the Design Of The 2019 Hyundai Veloster?